Better yet, you can recreate it by your own using the recipe the hotel has publicized! Cook it on a pan with butter (on moderate heat with lid closed) for 15 min. It requires some practice, but once you make it right, it tastes really good. I made it again this morning, and it was DELICIOUS! How kind of the hotel to open the recipe to the public! By the way, I like pancake mix of Hotel Okura. The manufacturer is Nagatanien, though. Glad to find this recipe! I had this at the Hyatt in Tokyo a couple months ago. I cooked it on an induction burner at 90C (~195F) and only used 2.5cm thick bread. One thing I did was to soak the bread in the mixture for 1 hr, but used a vacuum assist to speed the process up. The egg mixture thoroughly saturated the bread - clearly all the way through. 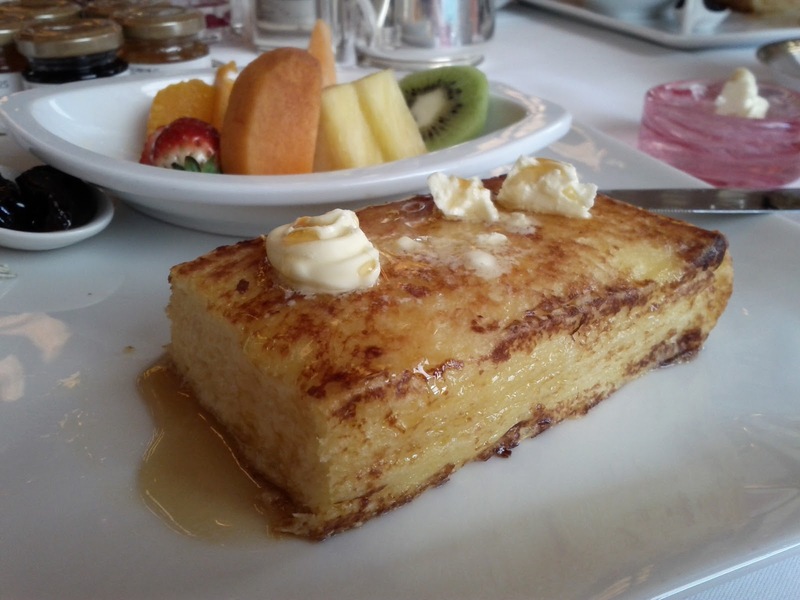 All said, this is a great rendition of French Toast.